Obituary – Howard, Ena Mae (Humphrey) « Perry High School Alumni Association, Inc.
Ena May Howard, 90, native of the Perry community, died at 10:20 a.m. Wednesday, March 8, 1995, at Perry Memorial hospital. Graveside rites have been planned for 2 p.m. Friday at Grace Hill cemetery at Perry. Rev. Lynn Scott, pastor of the First Christian church, will officiate. Brown Funeral home will be in charge of arrangements. Honorary casket bearers will be Wayne Allen, Gordon Cargill, Don Klinglesmith, Loyd Moore, Tony Talbott and Jack Dolezal. Mrs. Howard was born in Oklahoma Territory on June 22, 1904, northwest of Perry on the farm homesteaded in 1893 by her grandfather, C. C. Humphrey. She was the daughter of Cleveland and Carria Humphrey. She attended school at Fairview district 30 from first through eighth grades and was a 1923 graduate of Perry high school. She attended summer school at Oklahoma A&M college at Stillwater and received her teaching certificate in 1923. For many years she taught in rural schools in Noble county, such as Lilly district 67, Long Branch and Willow Creek. 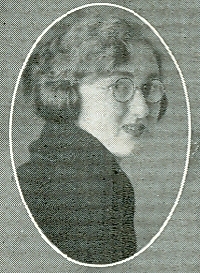 She and Dewey Lee Howard were married on Jan. 4, 1926. 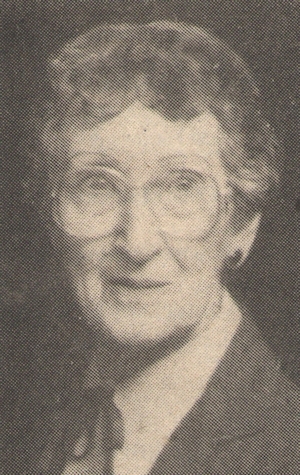 Mrs. Howard was a member of the Black Bear homemakers group, the First Christian church and the Hope circle of the church. Survivors include one daughter, Cleva Jo Beier, Perry; grandchildren, Eddetta and Chris Grant, Sand Springs, and Robert and Terry Beier and David Beier, all of Perry; two great-grandchildren, Lee and Carrie Beier; a sister-in-law, Jewel Humphrey, Pamona, CA; four nephews, Ted Humphrey, Alta Loma, CA, Chris Humphrey, Glen-pool, Mike Humphrey, University Park, MD, and Gene C. Howard, Tulsa; and two nieces, Jodi Ross, Midwest City, and Billie Friberg, Midland, TX. Mrs. Howard was preceded in death by her husband, Dewey; a son-in-law, Edward J. Beier; her parents, Cleveland and Carria Humphrey; and a brother, Carl Humphrey.